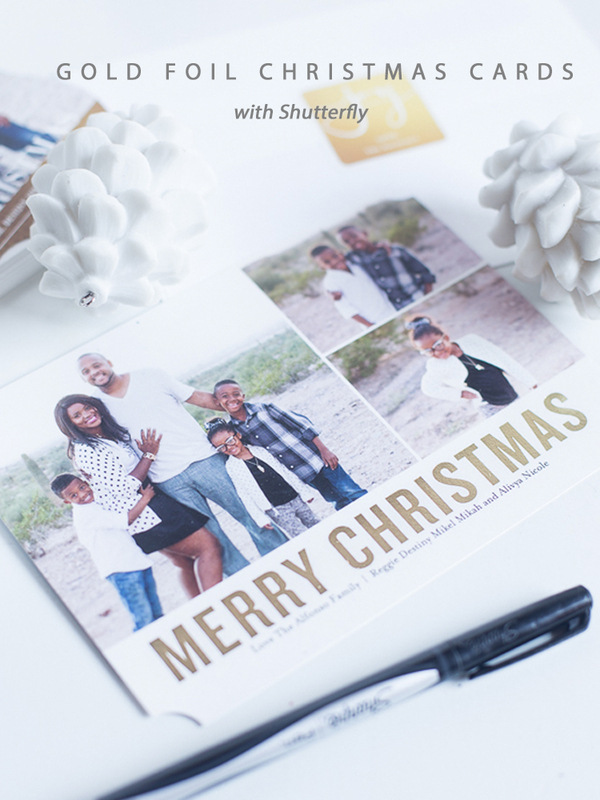 Thanks to Shutterfly this year, I’ve got all my Christmas Cards stamped, addressed and ready to go! It feels great to get something checked off my list. The holidays are so busy. 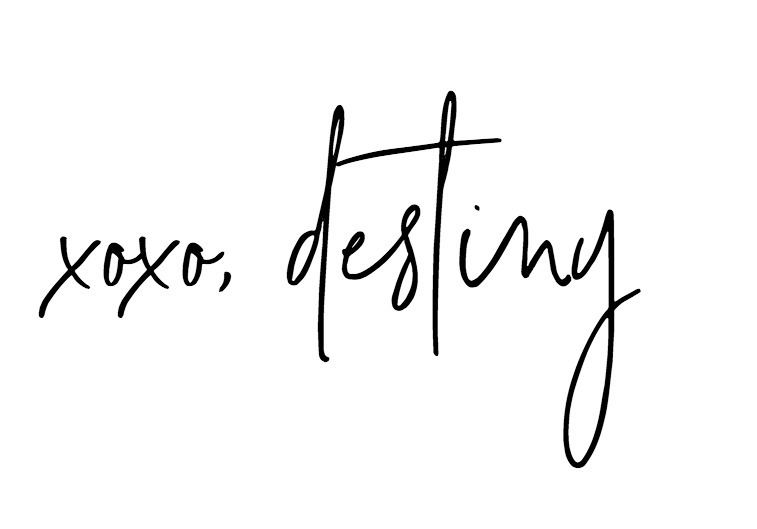 Not a dreaded busy, but a fun, party every weekend, spending time with the family, shopping, crafting, church, sports and fun kind of busy. The good type! This year I picked out a few different ones to send out because honestly I couldn’t pick just one! I’m still crushing on gold, black and white so I went with those colors. 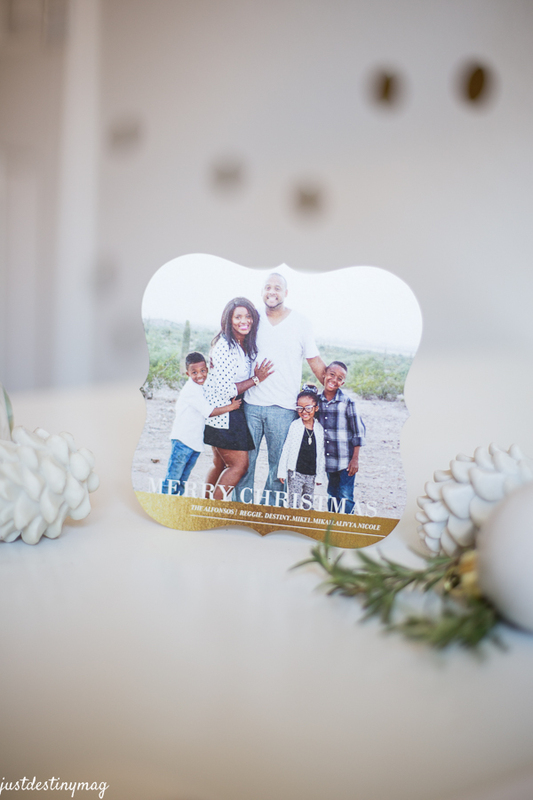 Luckily, Shutterfly’s Christmas Cards did NOT disappoint! 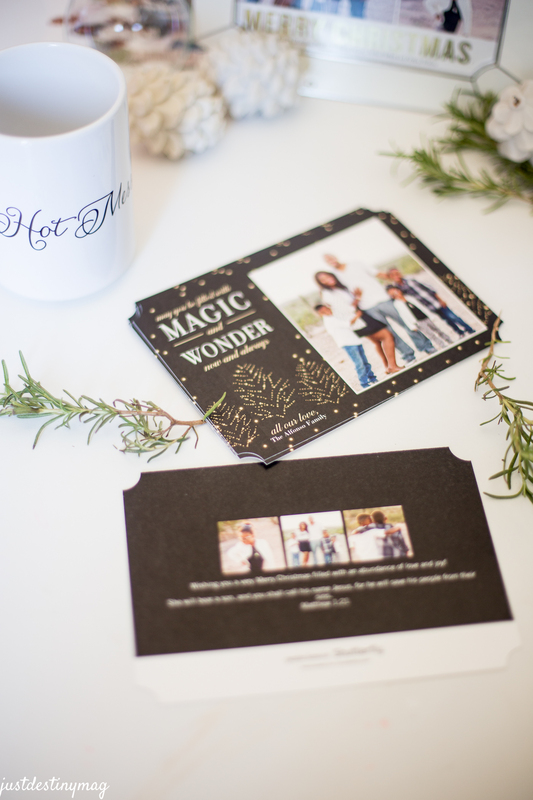 I was immediately drawn to these gold foil printed cards because of the look. If your not a gold fan, they do have a red foil option as well. I just can’t imagine someone not liking gold though! ha! This is not that fake gold either it’s really stamped! You can feel the indents as you run your finger across the card. Plus the added pearl shimmer makes them look that much more glamours. 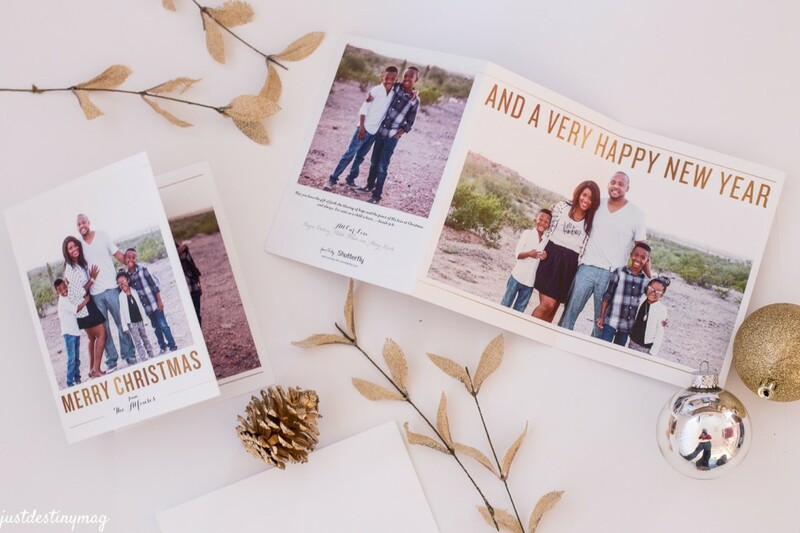 Tri- Fold cards are my favorite types of Christmas cards! Why? Well because you get to fit SO many photos into one card. It’s like a mini book. Plus if your super fancy you can add newsletters, top 10 moments of the year and other cool things! 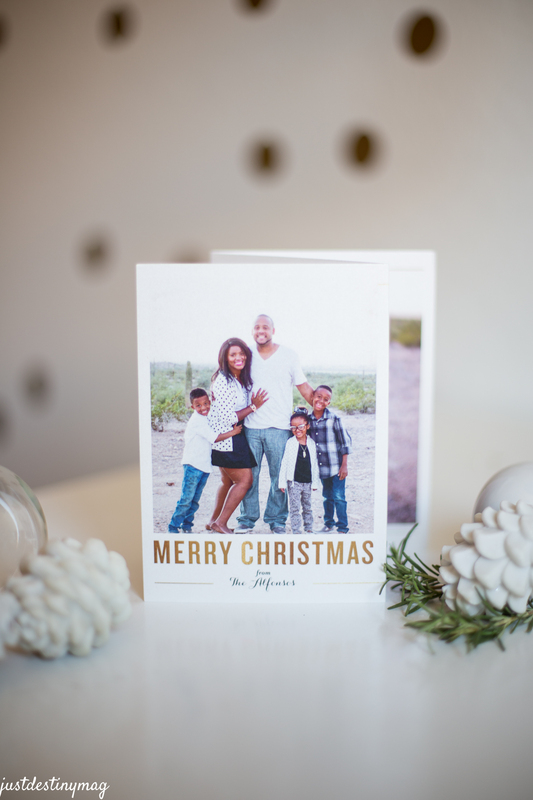 This particular card had an awesome spread for our horizontal family photo. 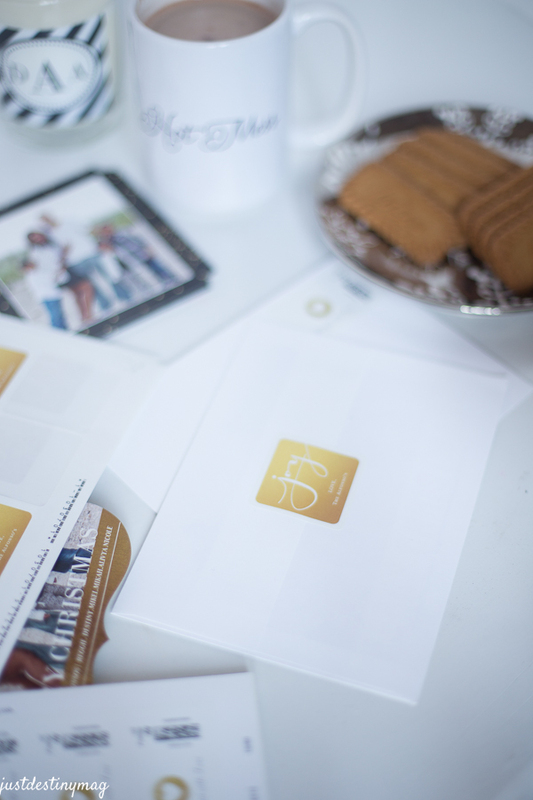 I also added some golden address labels that matched the set perfectly. These next two are pretty awesome as well. The first one is a non traditional 5×5 cut into a bracket which I think is SO cute and unique! You could tie a little ribbon on it and invite friends and family to hang it up in the home! Flat cards also make things super simple. 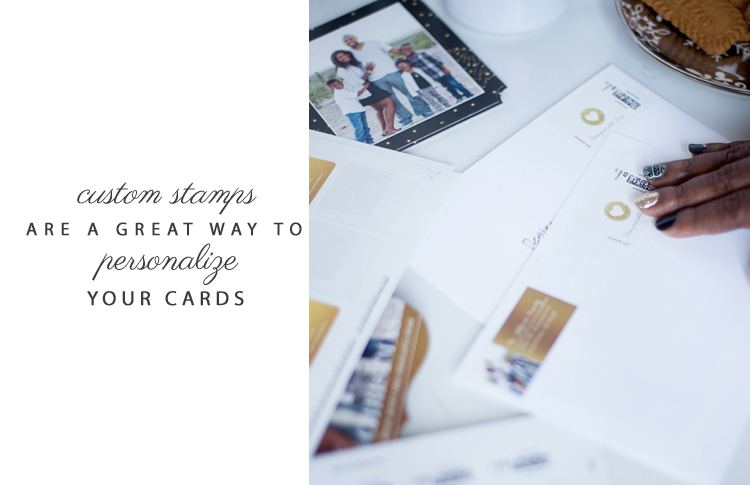 If you have just a few pictures you want to show off these cards offer some really great options. Not only on the front, but also on the back. 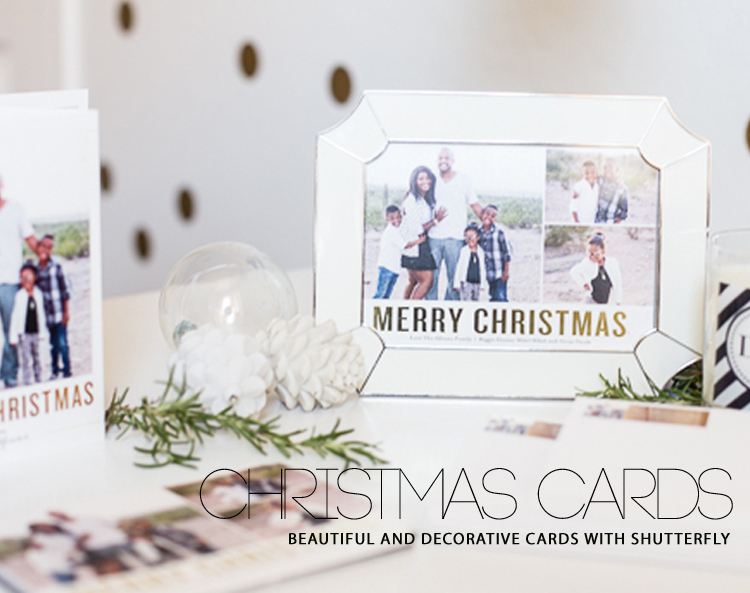 You also have the option to edit a lot of the wording to make Perfectly Personal™ Holiday Cards. Are you guys ready to get your cards ordered! Right now is the perfect time! Because after Thanksgiving you know it really gets crazy! 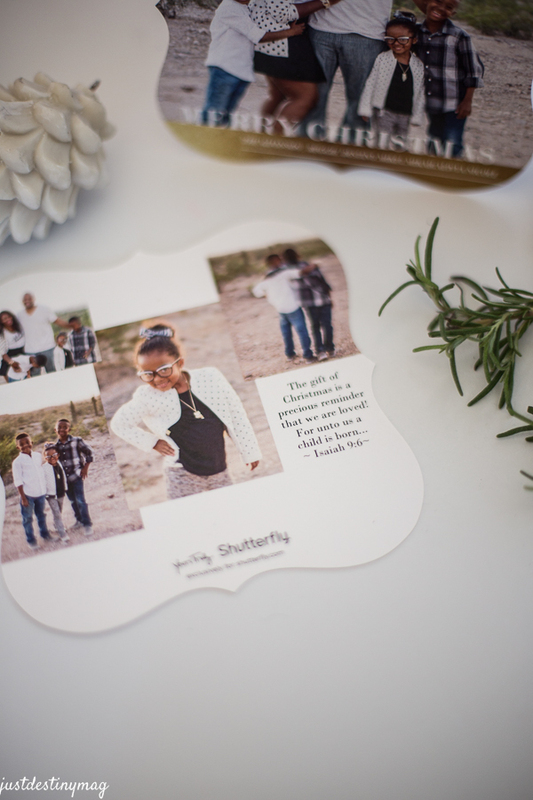 Thanks to Shutterfly for providing cards for today’s sponsored post!